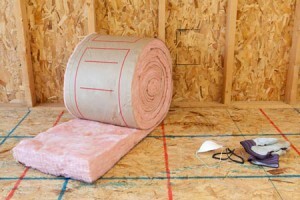 When it comes to home insulation, you have a variety of different options. However, one of the most popular types of insulation is called batting insulation. Here’s what you need to know about this type of insulation and how it can benefit your Winter Haven or Lakeland, Florida home. This type of installation is typically composed of small, glass fibers known as fiberglass. It usually comes in panels that can be cut and customized to fit the area you are insulating. While some types of insulation are limited in the areas of a home that they are able to be installed, batting insulation can be used in your home’s walls, the attic, and virtually any other area in your home. This type of insulation can limit air infiltration and heat transfer and is capable of covering the areas where it is being installed snugly without any gaps, allowing for homeowners to get the most out of batting insulation. Batting insulation is particularly beneficial in areas of the world with humid temperatures, like Florida. In addition to being the right insulation choice for your home if you live in a humid climate, this type of insulation can effectively reduce what you pay for heating and cooling, make your home a comfortable place to live in both the winter and the summer, and block loud noises coming from outside your home. If you believe this type of insulation is the right choice for your home due to its structure and benefits, contact us at Polk County Insulation.